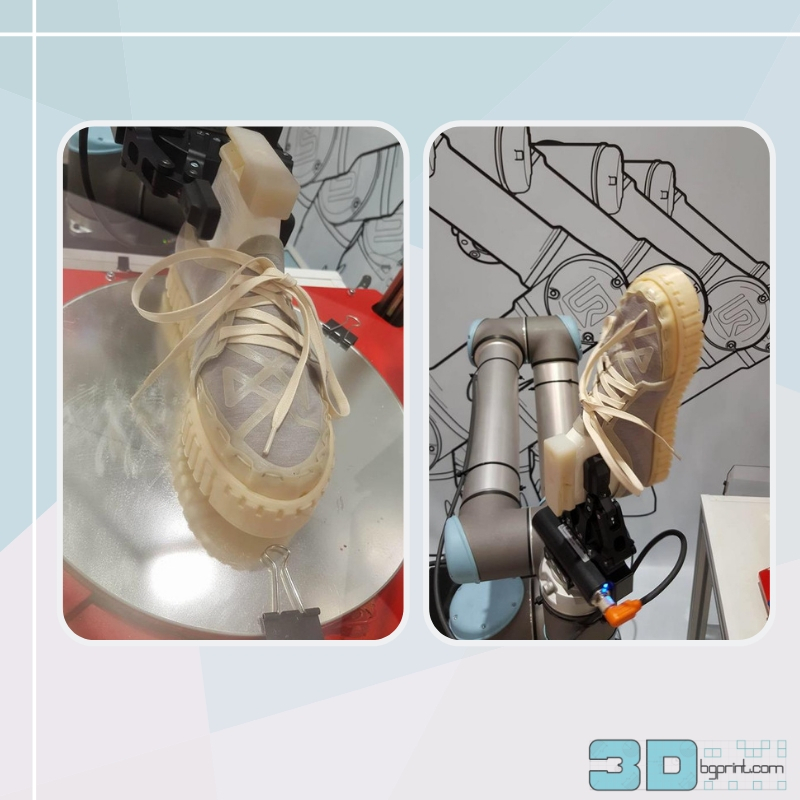 3D printing is quickly becoming very normal within the fashion industry, both for clothes and accessories, but the footwear sector is far slower to adopt the technology. To be sure, major sportswear players such as Nike and Under Armour are waking up to the possibilities, but it will doubtlessly take years before we all start wearing 3D printed shoes. But as Dutch footwear pioneer SLEM revealed, that slow pace could be a blessing in disguise. It will allow us to set up a sustainable and environmentally friendly 3D printed footwear platform, and SLEM is leading the way with a new type of 3D printed compostable shoes made in collaboration with BioInspiration. Such a sustainable platform is very necessary, because modern-day shoes are woefully bad for the environment. 300 million non-recyclable pairs are being thrown into landfills each year and that shoe mountain doesn’t even include all the waste that shoe factories produce. What’s more, those numbers will only increase with today’s popularity of cheap footwear that is replaced every three to four months. It’s one area of mass-consumption that desperately needs a change. This is where BioInspiration comes in. This Berlin-based startup has been making headlines throughout the 3D printing world for what is probably the most environmentally friendly filament in the world. To be sure, there is a move towards greener, biodegradable and eco-friendly filaments within the 3D printing community already and PLA itself is obviously corn-based, but BioInspiration’s WillowFlex is a world-beater. Pioneered with the help of Kickstarter, it’s made from an odor-free non-GMO cornstarch and is fully compostable and upcyclable. 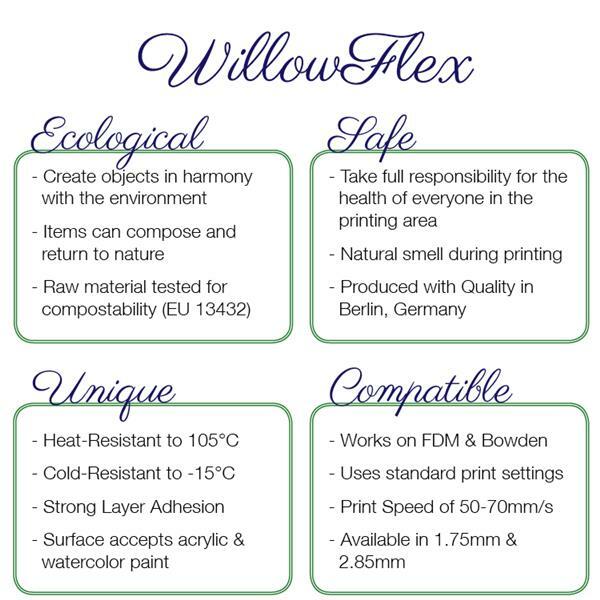 The WillowFlex elastometric bioplastic has a biodegrading level of 90% within just six months (given the right conditions). It also maintains integrity at temperatures up to 100°C, and stays flexible even in sub-zero, -15°C cold, meaning that it can be used to make a wide variety of 3D printed objects. Back in December, the German pioneers proved the material’s effectiveness with these very cool 3D printed compostable Star Wars toys. It’s hardly surprising that SLEM was immediately convinced. This Dutch initiative (named after Shoes, Leather, Education and Museum) is an international leader in the field of footwear innovation and education, and provides a wide range of educational courses and workshops for students and footwear companies. 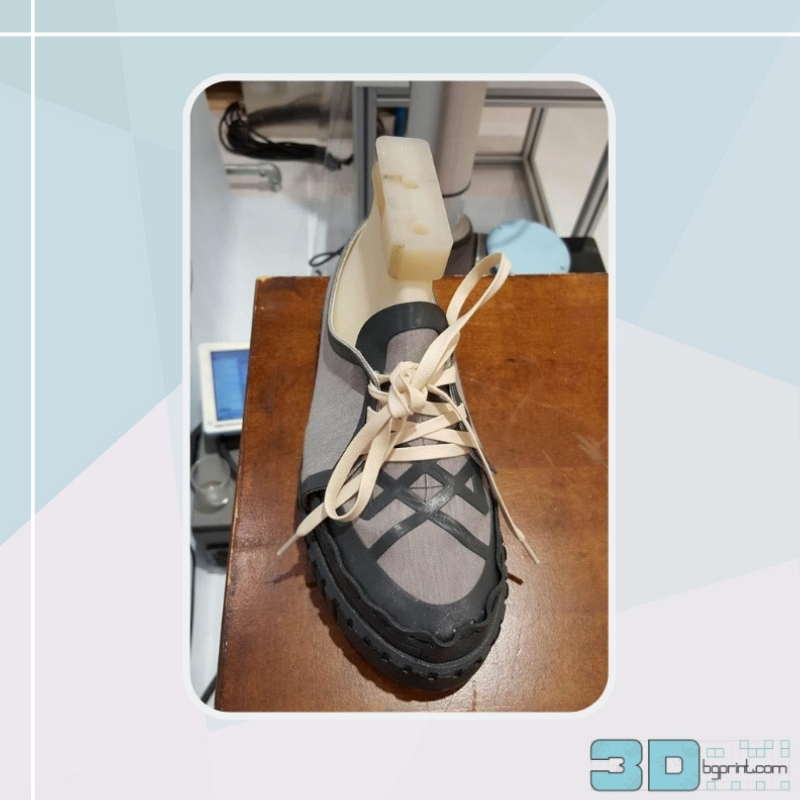 They are also continuously researching footwear innovations with a problem-solving attitude, and previously experimented with 3D printed footwear as an alternative for current production paradigms. Back in 2015, they were the only footwear company to showcase 3D printing during the GTS Trade Show. But 3D printed footwear is not without its challenges. A good, comfortable fit is crucial for a healthy life, and that makes 3D printing so much more challenging. For the 2016 edition of the GTS Trade Show, SLEM therefore sought to answer the following question: how can we continue to customize shoes with 3D printing and become a sustainable alternative to current production? The answer came through a collaboration with BioInnovation, whose compostable filaments were used to 3D print a series of shoes directly into the fabric – showing the potential for converging design and 3D printing into a single production step. Immediately, the material’s high degree of flexibility proved its worth. “WillowFlex was an easy material to work with and printed as well as the other chemical based flexible filaments we have been working with. We look forward to working with BioInspiration to improve the long-term durability of the material to move into production,” said SLEM Creative Director Nicole van Enter. While these shoes are nothing more than prototypes used to verify 3D printing settings and best practices, SLEM has already become convinced that this is the key to sustainable footwear production. BioInspiration, meanwhile, is certain that WillowFlex can offer the same comfort that conventional footwear offers. “BioInspiration is founded on the knowledge that sustainable materials can equal and out-perform the alternatives. Working with forward thinking groups like SLEM helps to move the needle of public perception towards acceptance. Experimentation with Vision is the key to Progress,” CEO Brian Crotty said of the collaboration. There’s still a long way to go for SLEM and BioInspiration. As with any mass consumption product, it takes a long time before sustainability will find its footing within the footwear industry. Fortunately both companies firmly believe that 3D printing can offer direct competition to traditional production methods, so who knows what will happen. At least the shoe design itself won’t hold them back at all, and who doesn’t want shoes that they can just throw on a compost heap?